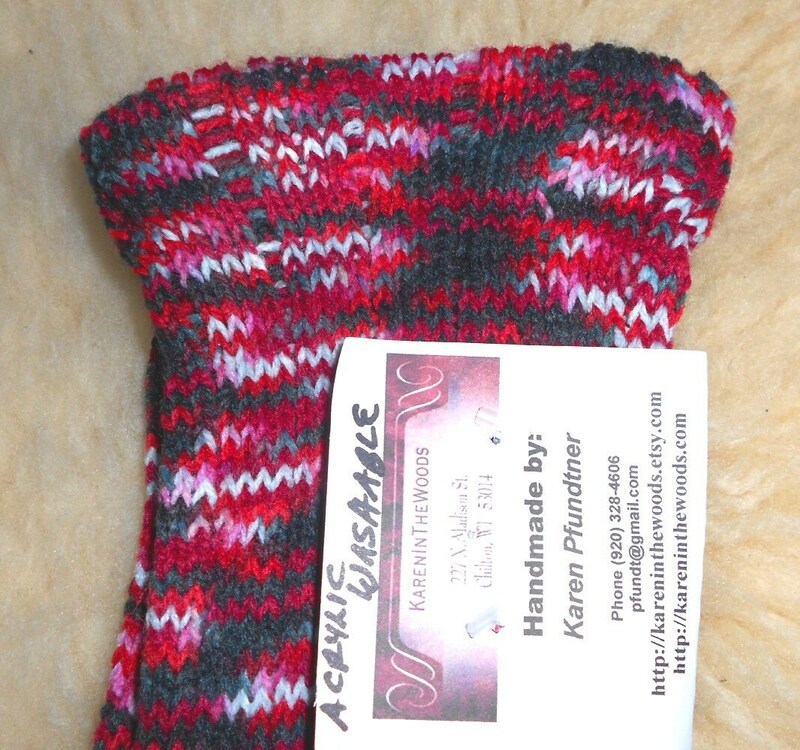 Custom colors and patterns, no two pairs alike. 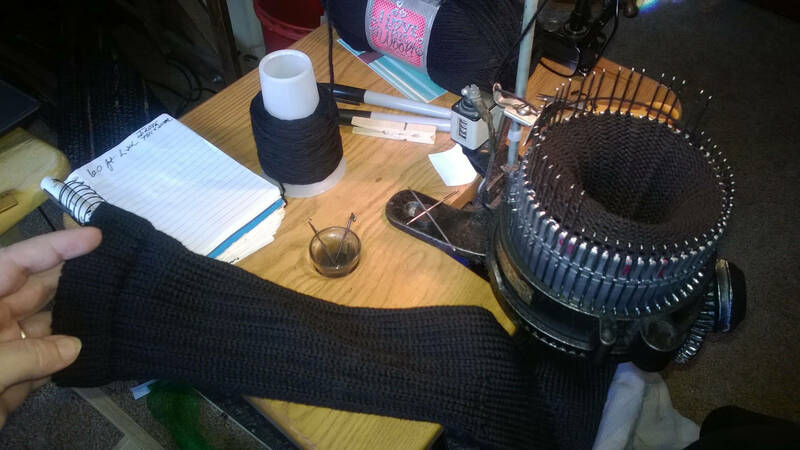 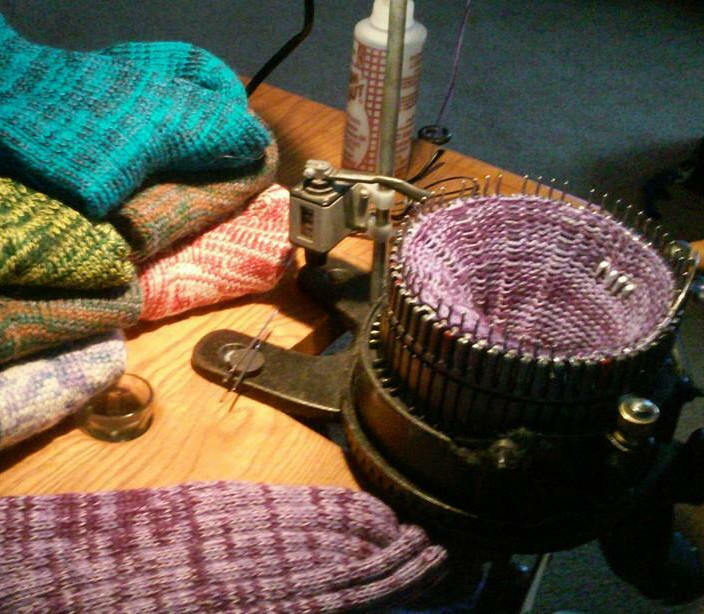 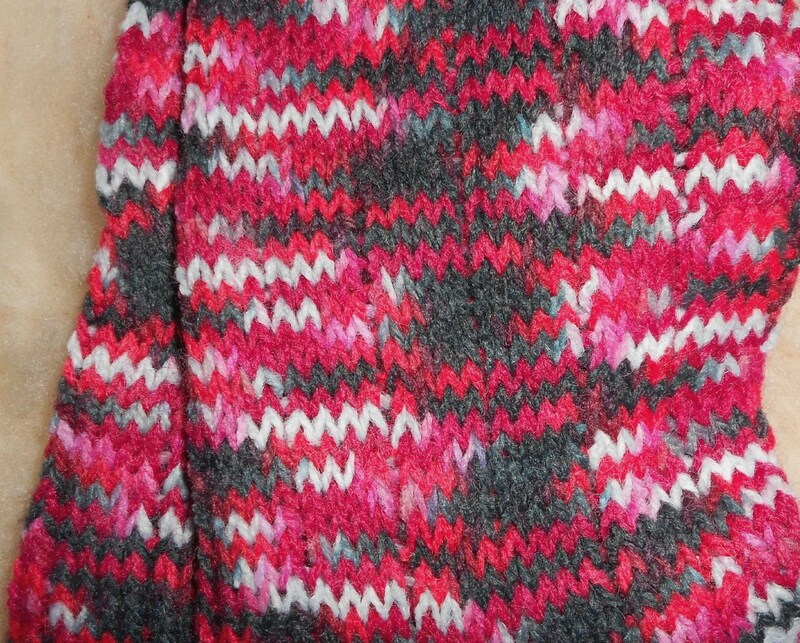 They are knit from pre-printed yarns that make random stripes and patterns. 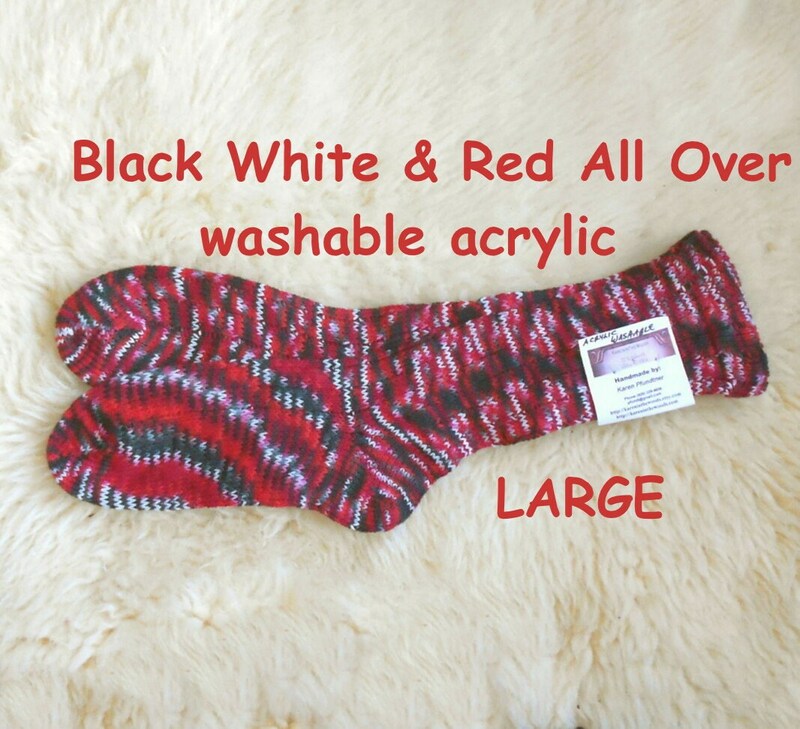 This pair is named Black White and Red All Over socks, due to the varying colors of the red, black and white tones of the variegated yarn.